A man was in the house at the time but was not injured. 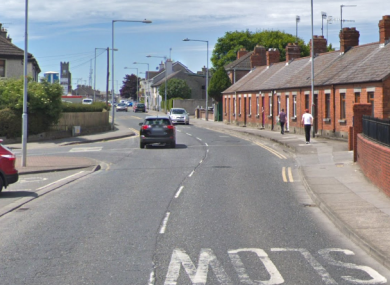 GARDAÍ ARE INVESTIGATING a fire at a house in Drogheda amid suspicion that it was the subject of a petrol bomb attack. Emergency services were called to the scene of the fire at 8.40pm last night on Scarlett Street. A man in his 30s was present in the house at the time but escaped the fire uninjured. Gardaí have said that from initial investigations it is believed that an accelerant was used to start the fire. The scene is currently preserved pending a garda technical examination and investigations are ongoing. Email “Gardaí probe petrol bomb attack on house in Drogheda”. Feedback on “Gardaí probe petrol bomb attack on house in Drogheda”.